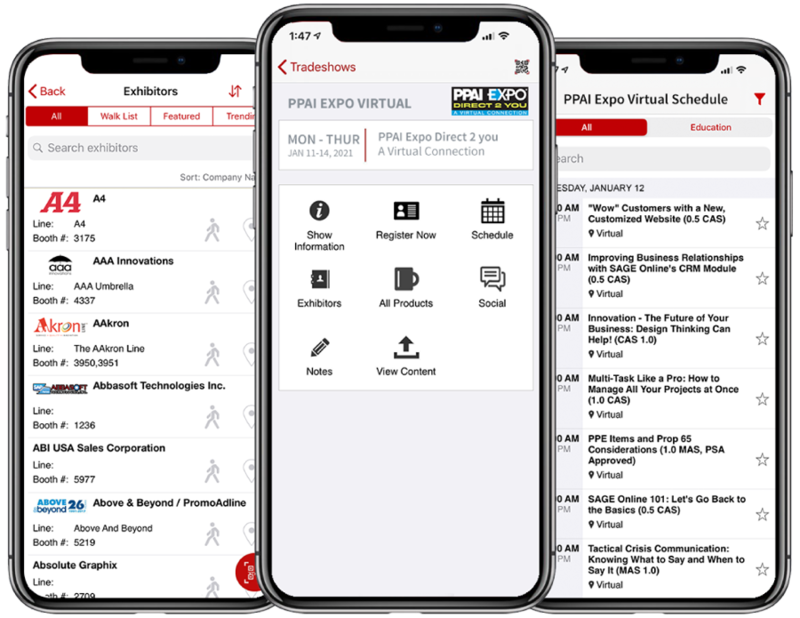 Enter The PPAI Expo quickly and easily with expedited badge pickup in SAGE Mobile! Your device will automatically locate your registration. Simply open the app and go to the quick print area to scan and print your badge! 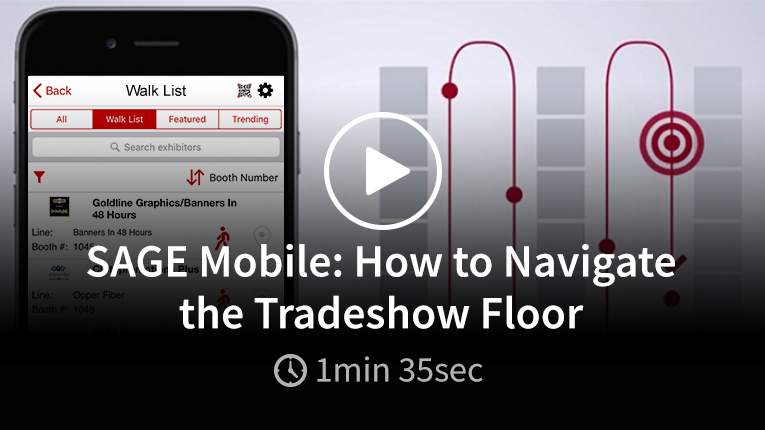 Learn what to do before the show, how to get started, how to use SAGE Mobile at the show and what to do after the show. 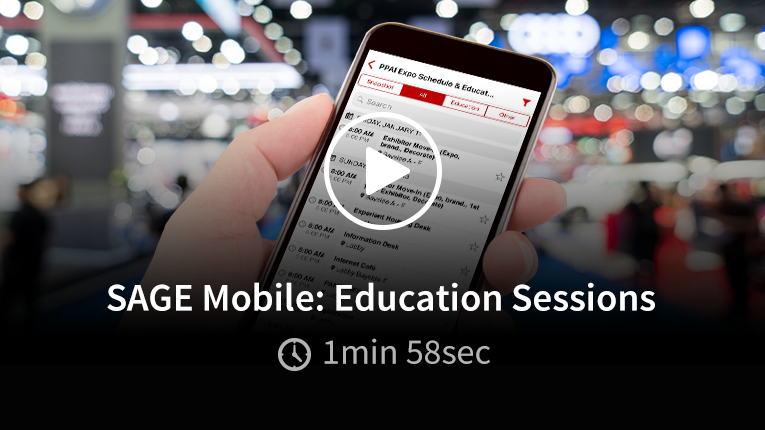 SAGE Mobile is more than just a tradeshow planner. 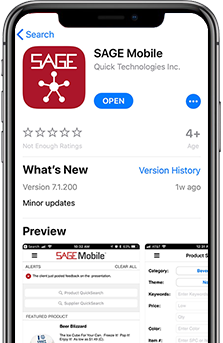 With a SAGE Total Access subscription, you can access SAGE Online, SAGE Web, and SAGE Mobile to manage your business from the office, at home, or on-the-go! 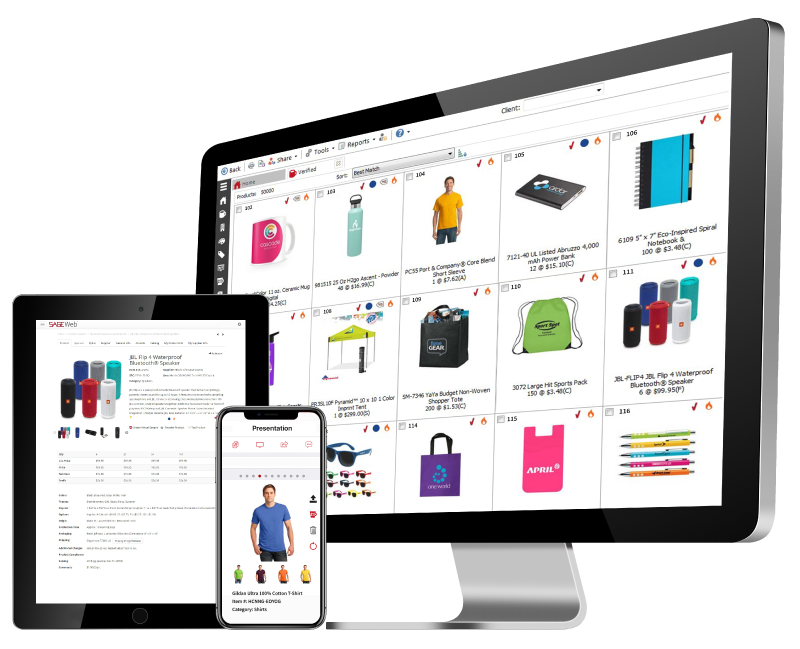 SAGE Total Access is the industry’s most popular product research and business management solution that over 45,000 promotional product distributors trust to make their workdays so much easier. Launch your app store (Google Play for most Android Devices, or the Amazon Appstore for Kindles). 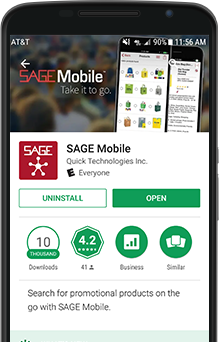 Tap SAGE Mobile in the results, and choose Install. After installation is complete, log in using your SAGE login ID and password. Contact our Support Team for help with your login ID and/or password at 800.925.7243. 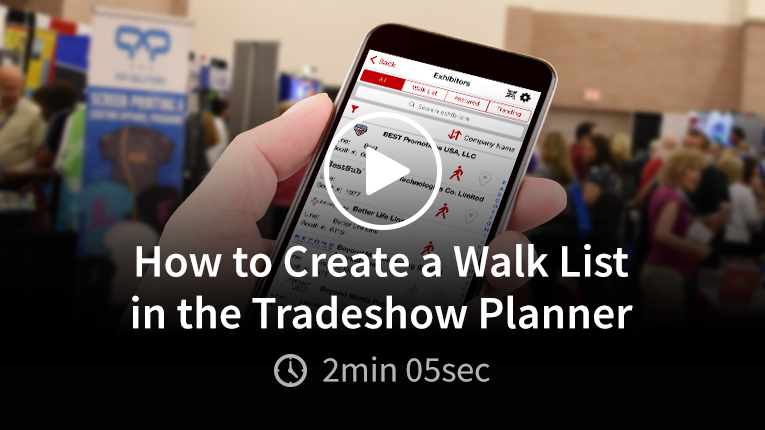 Click here to launch the app in Google Play. Launch the App Store on your device. Tap Install, enter your Apple ID. Enter password when prompted, and tap OK.
Click here to launch the app in the App Store. 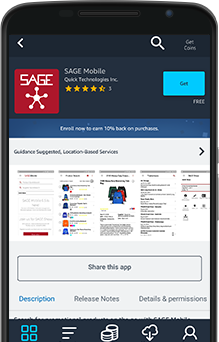 Tap SAGE Mobile in the results, and click FREE. Choose Get App & Download. Click here to launch the app in Amazon Apps.